New HBO documentary on political street artist..
Last October, Banksy undertook a month long street residency, in which he created 31 pieces of art in and around the city. These not only included his more familiar wall paintings, but also sculptures and installations, including a man selling actual Banksy's, worth millions, on the street. He made $400. 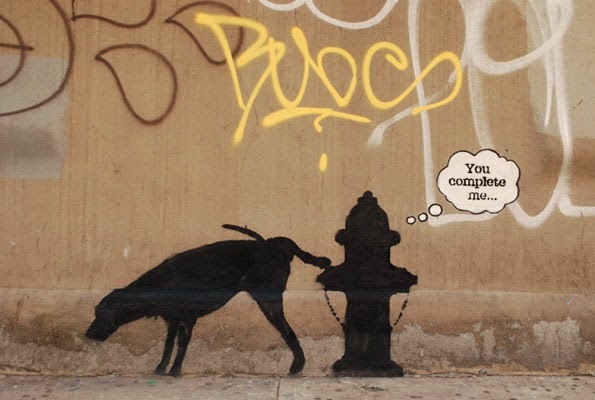 This HBO film directed by Chris Moukarbel, 'Banksy Does New York' follows the reaction from New Yorkers to the artists' work around the city that month. Airing on 17 November on HBO, check the trailer, below, and follow @banksynyc on Instagram to see the images from last year.